Hamilton's fire chief says user fees would deter people in trouble from calling for help, and even endanger more lives if their friends try to help. Hamilton officials won't charge user fees for rope rescues at its waterfalls after its fire chief warned it would deter people from calling for help. Chief David Cunliffe told city council's emergency and community services committee that he has "significant concerns" with charging for rope rescues. People who fall and need help may not call because of the fee, he said. And their friends might try to help instead, endangering more lives. "A user fee may deter someone in trouble from making a phone call," he said Monday. And if their friends help, it raises the risk of more people dying. City councillors accepted that and didn't act on the idea. Instead, they'll look into making a map of trouble spots on the Niagara Escarpment. Coun. Tom Jackson of Ward 6 also has a group of emergency and communications people who will look at ways to make waterfalls safer. That group will meet again in the spring, and consider the map option. That group is looking at signs, public education and even long-term capital projects like tunnels under waterfalls. "I don't want to reach a point where I'm legislating behaviour, and I'm resisting that as much as I possibly can," Jackson said. 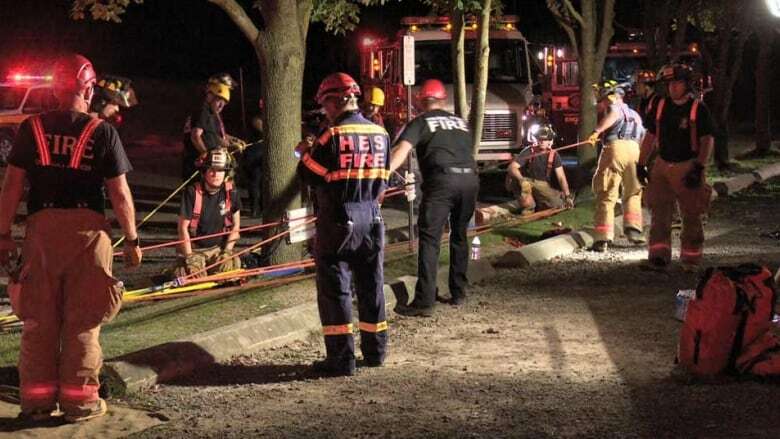 Should firefighters charge a fee for rope rescues? Terry Whitehead, Ward 8 councillor, said user fees don't seem like a bad idea in cases where people are clearly being reckless. At Chedoke Falls, for example, people have cut through fences. Taxpayers shouldn't pay for that, he said. "We have people making very poor choices and there's no deterrent for those poor choices." The department reviewed the idea of user fees after local fire crews answered 25 rope rescue at the city's waterfalls – the largest number in at least seven years. The majority of the calls were to rescue Hamilton residents. In 2016, 73 per cent of people rescued lived here, compared to 27 per cent non-residents. That's roughly in line with other years. In 2014, for example, 64 per cent of people were residents compared to 36 per cent non-residents. Some of the calls also happened on other escarpment locations, such as Mountain Brow, the Kenilworth Stairs and the Garth Stairs.